It’s pretty clear that the physical wallet’s days are numbered, and Pebble and PayPal have just teamed up to put another nail in its coffin with the launch of PayPal for Pebble. Pebble owners can now get the PayPal app on their smartwatch, which allows them to search for businesses nearby that accept PayPal as a payment method. From there, they can use their watch to pay by checking-in to the business, with the receipt coming straight through to their wrist. Sending payments to friends and family is not yet available, though. 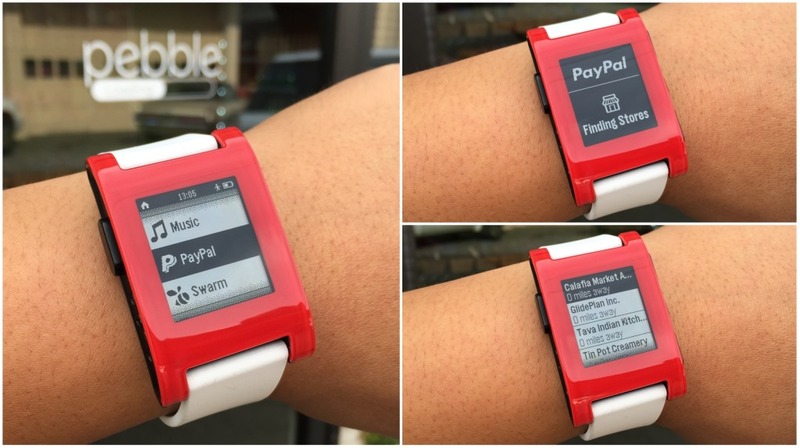 Pebble has – somewhat belatedly – also added PayPal as a payment option for buying a watch from their website. The Pebble PayPal app is available now on the Pebble appstore. And there are far too many Ps in that sentence for our liking.